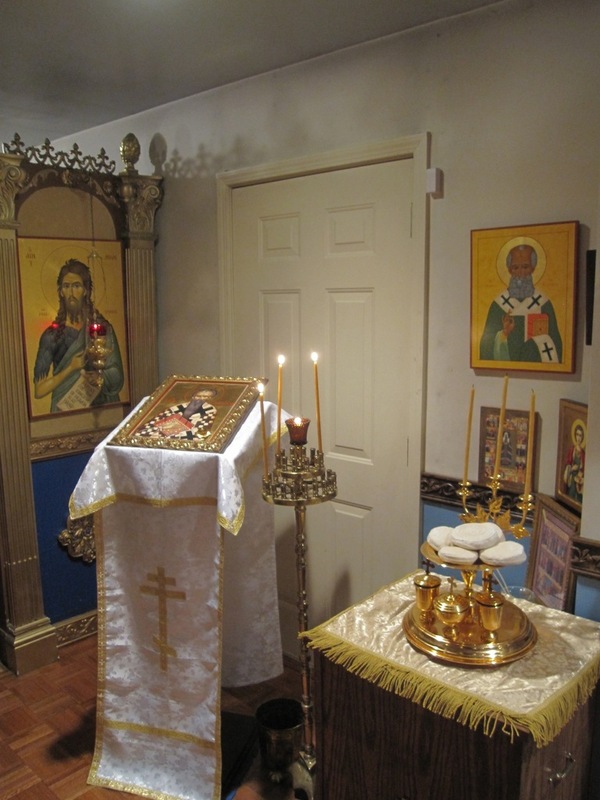 O Holy Hierarch Father Basil, pray to God for us! 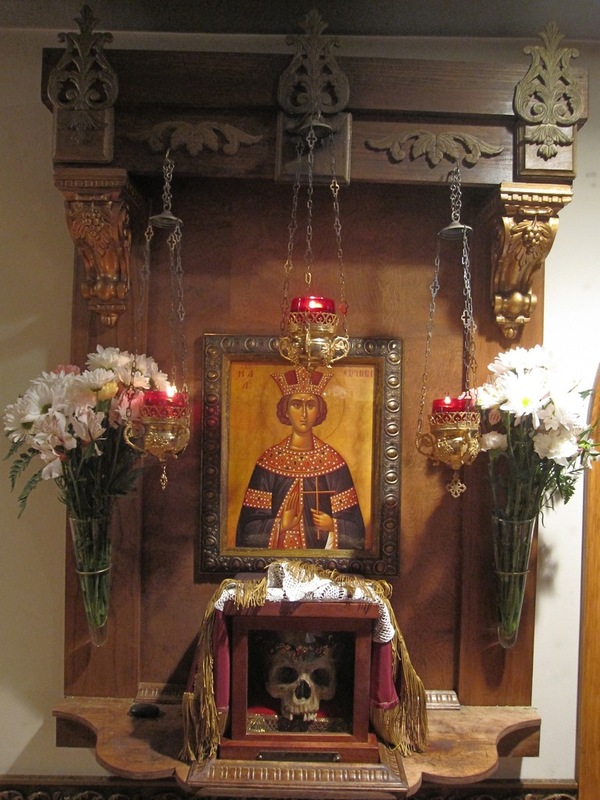 Saturday, January 14, marked the feast of the Circumcision of Our Lord, and the feast day of the Holy Hierarch St. Basil the Great. 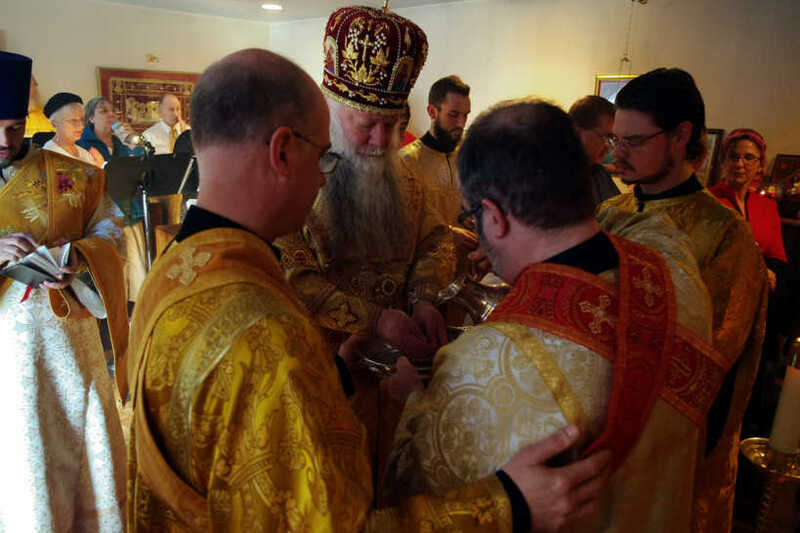 His Grace Bishop Peter, joined by Protodeacon Vadim Gan and Readers Andrei Urtiew and Nikolai Lochmatow, journeyed to St. 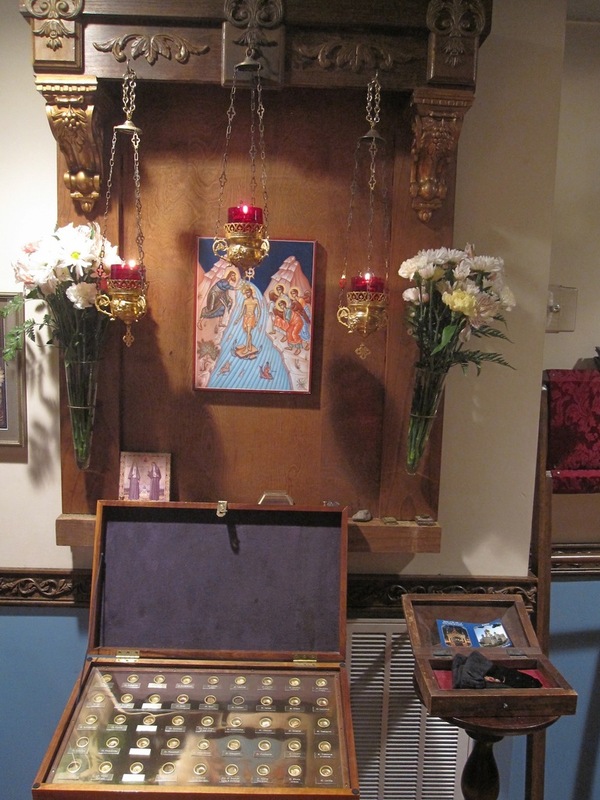 Basil the Great Orthodox Church in St. Louis, MO to lead the celebration of the patronal feast. 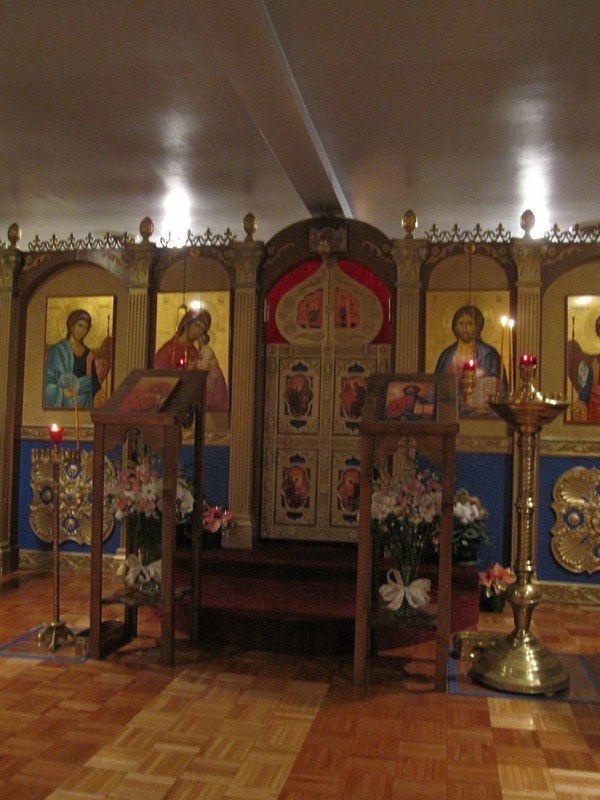 All-Night Vigil was sung on Saturday evening in both English and Church Slavonic. Participating in the service were Fr. Martin Swanson, rector of St. Basil's, Fr. 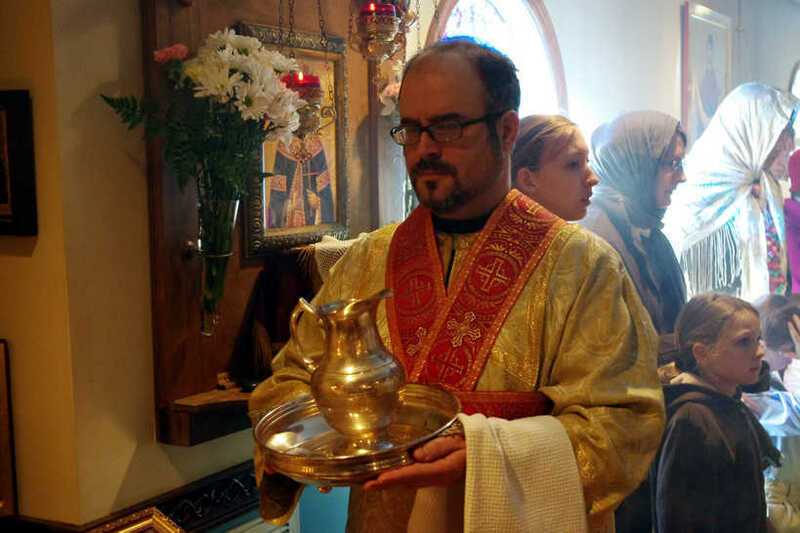 Christopher Stade, rector of St. John Chrysostom Orthodox Church in House Springs, MO and deacons Fr. 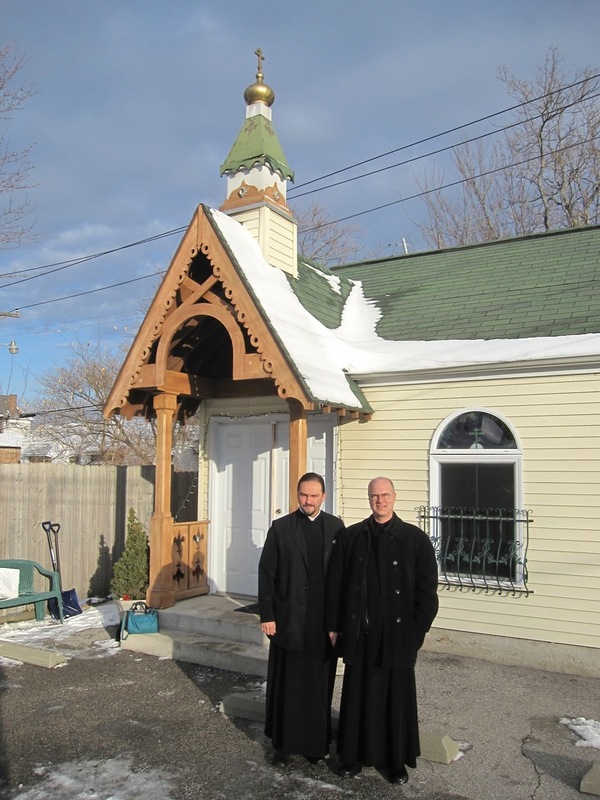 Vadim Gan and Fr. Basil Vogt, also of House Springs. 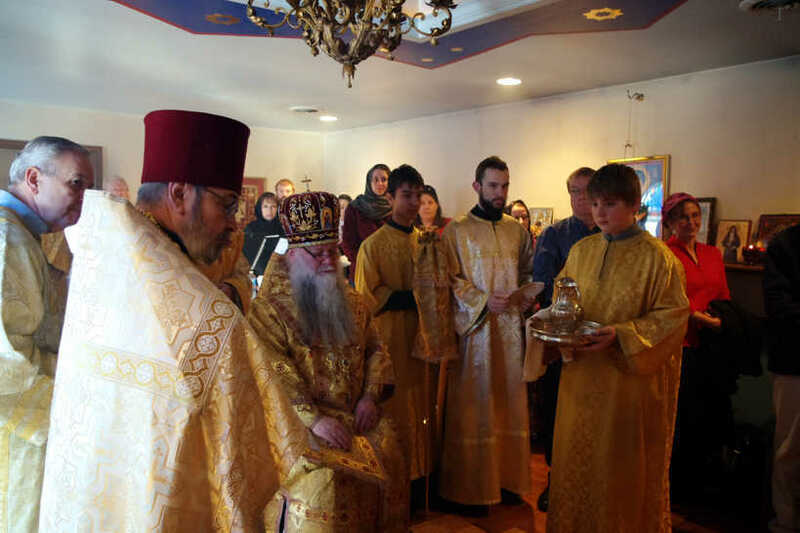 Vladika headed the festive Divine Liturgy on Saturday morning, which was very well attended. 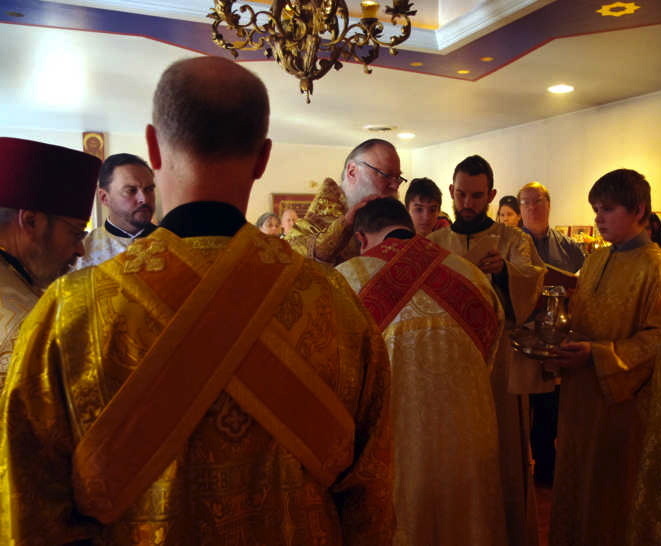 The concelebrating clergy were joined by Fr. 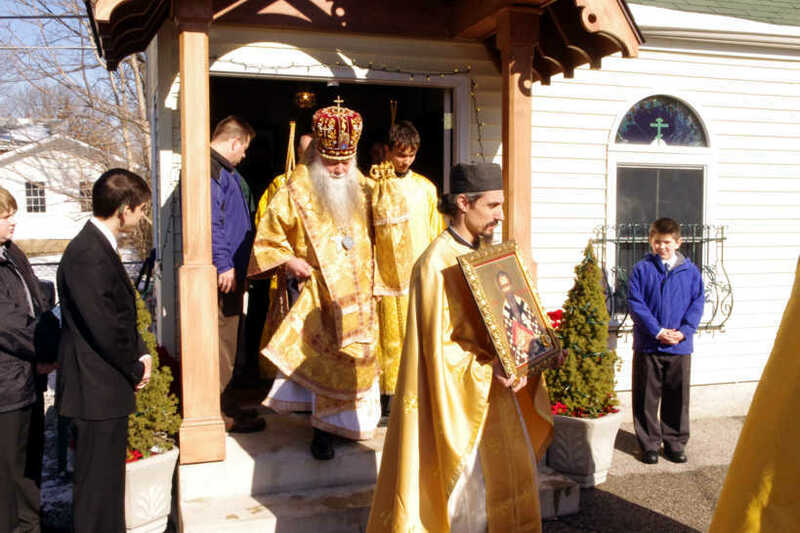 Achilles Karathanos of Saints Constantine and Helen Greek Orthodox Church, Swansea, IL (GOA). 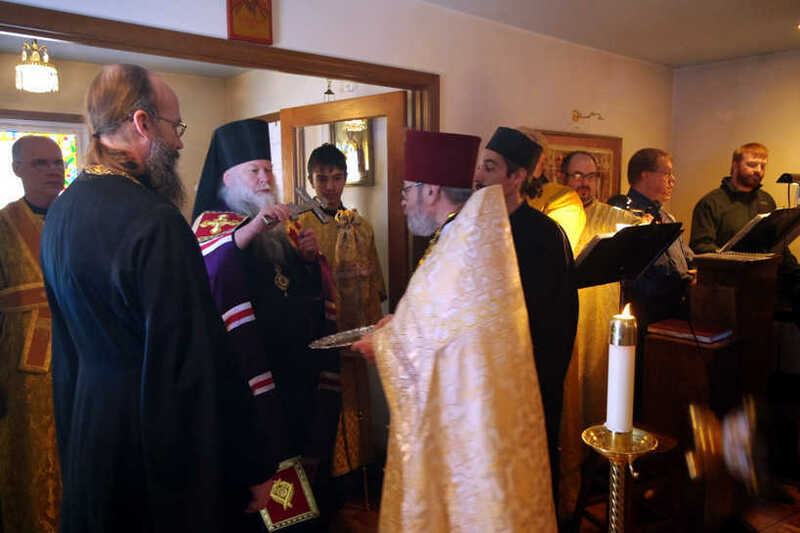 During the reading of the Hours, Bishop Peter elevated Reader Ephraim of St. 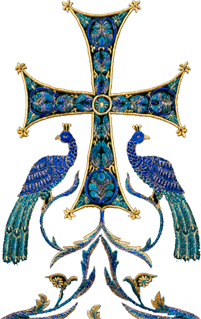 Basil's to the subdeaconate, charging him with assisting Fr. Martin during Divine Services. 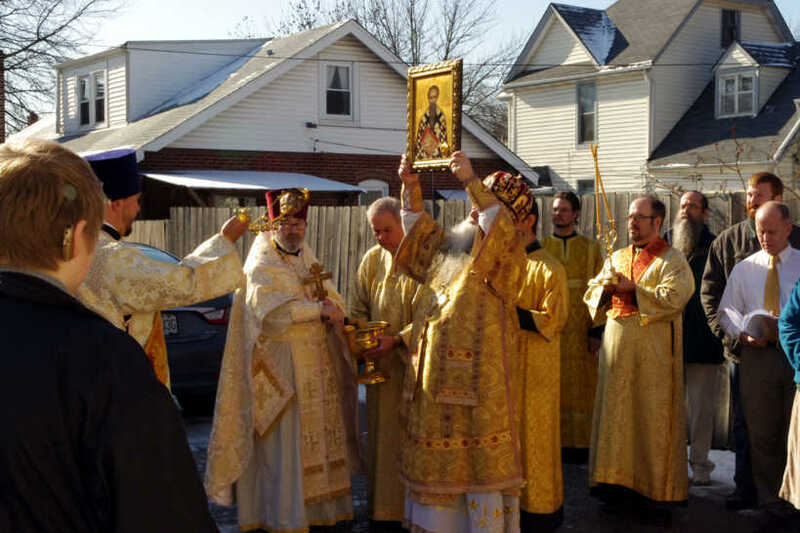 The bright Liturgy was concluded with a procession of the Cross, after which Vladika addressed the parishioners, stating that while the current temple had served the parish well, the time has come to build a larger House for the Glory of God. The celebratory meal was held at a nearby Italian restaurant. Fr. 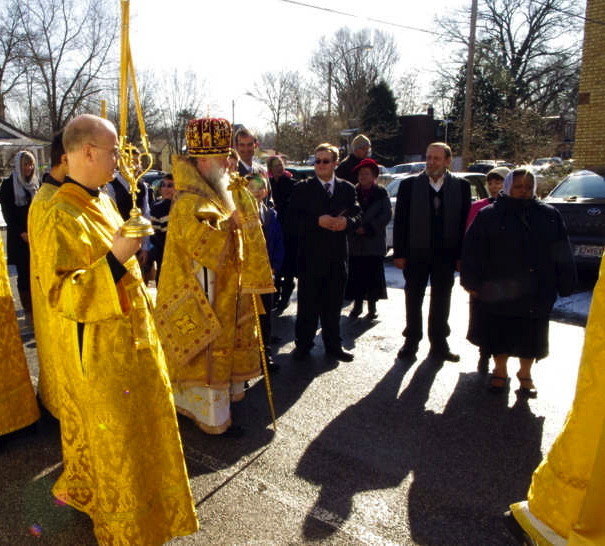 Martin graciously thanked everyone who made the effort to brighten the parish feast, and expressly mentioned his joy to receive the blessing of the hierarch's prayerful presence. Thanks to Karen Hammer for the photos!